If you know me, you may know that I occasionally go on a one-woman crusade against refined sugar. This first started as I became aware of how much sugar is in everyday foods, such as mayonnaise and bread and salad dressing and granola. At that time I had a young baby, and I was bound and determined that he would not eat any refined sugar, ever (hah). I started researching the effects of sugar on the body, and it led to making a New Year’s resolution to avoid all refined sugar for 31 days. I still totally ate dessert! Because, let’s face it, no big change in your diet will be sustainable unless you find ways to include the things you really love. For me, that is dessert! everything tasted sweet even without refined sugar. When I finally started eating sugar again, I ate much smaller amounts (initially anyway) because it was overwhelmingly sweet and honestly made me feel a little sick for a few weeks. I write a food blog and I love to bake, so I did go back to eating sugar. But I enjoyed my sugar fast more than I expected! So much that I repeat it a few times a year, especially if I have been going overboard with sugary foods or if I am feeling out of balance or mentally/physically/emotionally unhealthy. Since my first refined sugar fast, clean eating has become quite trendy. Basically, eating “clean” involves aiming for whole, nutrient-dense foods, and avoiding highly refined foods. 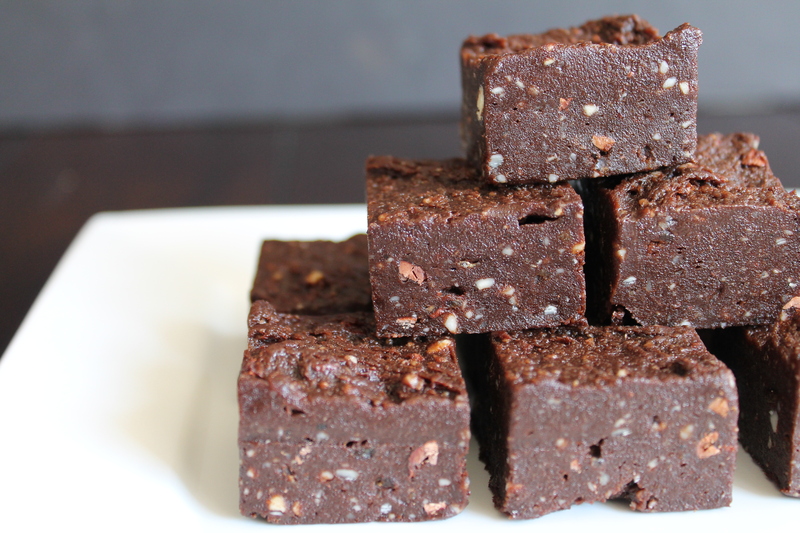 Raw brownies will satisfy any dessert craving, and you can feel good about eating them! To make these brownies, all you need is a food processor. I’m going to be frank: you need a good food processor, one with a fairly powerful motor, one with at least an 8-cup capacity. Without this, you won’t get very far. If you have a less powerful food processor, the motor may get very hot while you are working (effectively cooking the ingredients a bit and causing the nuts to release a lot of oils). If it is too small, then the dates and nuts won’t fit or won’t be able to move around properly, and you won’t be able to grind them down to fine, even bits. Start by processing the nuts until they are about pea-size. You could substitute different nuts, but I love raw cashews and walnuts in these. Walnuts, of course, are a classic brownie addition, and cashews are soft and mild and slightly sweet, so they blend in very well. Cashews and walnuts will give you a delicious classic brownie flavor. If you aren’t too concerned about staying raw, roasted hazelnuts would also be delicious! After breaking the nuts down a little, pit the dates and add them to the food processor. Use Medjool dates. Seriously, only Medjool dates will do. Aim for the most supple dates you can find. In the grocery store, instead of using those little plastic tongs, I like to squeeze each date with my fingers (apologies if you go to my grocery store and think that is gauche…) and toss back the firm or dried out ones. You can still make the brownies with dates that are more dried, but unless you soak them, they will end up much more crumbly. As you may imagine, the texture of these brownies can turn out slightly different every time, based on the freshness of the dates you use. The very first time I made these, I had dry dates and I soaked them first, which resulted in a mixture that was so sticky, it was practically tar. So messy, and I thought my food processor was going to bite the dust, but the soaked dates produced incredibly smooth and delicious brownies! Usually, I don’t soak my dates (because I don’t think my food processor could handle that level of sticky week after week). Not soaking the dates means that it’s even more important to find supple, fresh dates so that your brownies will be soft and chewy. Sometimes when I make these, I add a little bit of water at the end so that all the little chocolatey date bits will compress together smoothly. Each time is a little different, as you would expect when you are working with plants and not using any heat! I always smush my dates down into my measuring cup as much as possible, but the number of dates required varies with the quality and freshness. Most recently, I did this with 30 dates. P.S., pitting dates is a great task for preschoolers! You may lose a date or two, but they will enjoy pulling the sticky dates apart, counting the “almonds” (yep, I’m having a hard time convincing Jake that date pits are not almonds), and smushing the pitted dates into the measuring cup. Add the flavoring ingredients: raw cacao powder, vanilla extract (which is actually raw! ), sea salt, and espresso powder. 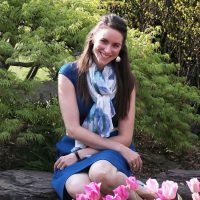 I am certainly not a raw foods expert, but I do like to use include raw ingredients where I can, because most foods are more nutrient-rich before they are cooked. For example, raw cacao is very high in magnesium, a mineral which the body cannot produce! Normal cocoa powder is also fine to use, and makes delicious (mostly raw) brownies, but cacao beans lose most of their magnesium when they are roasted, so your date bars will lack that extra nutritional boost. Now…I know espresso powder is not technically a “clean” or raw ingredient. You can certainly choose to do without it. However, the flavor of chocolate is more intense in combination with coffee! I, personally, love espresso powder for its rich flavor and the way it dissolves well. I do not recommend substituting instant coffee for the espresso powder, as instant coffee has a sour, unpleasant aftertaste. Espresso powder will make these date bars into brownies, friends. Just do it! Process until the date mixture comes together in sticky chunks. 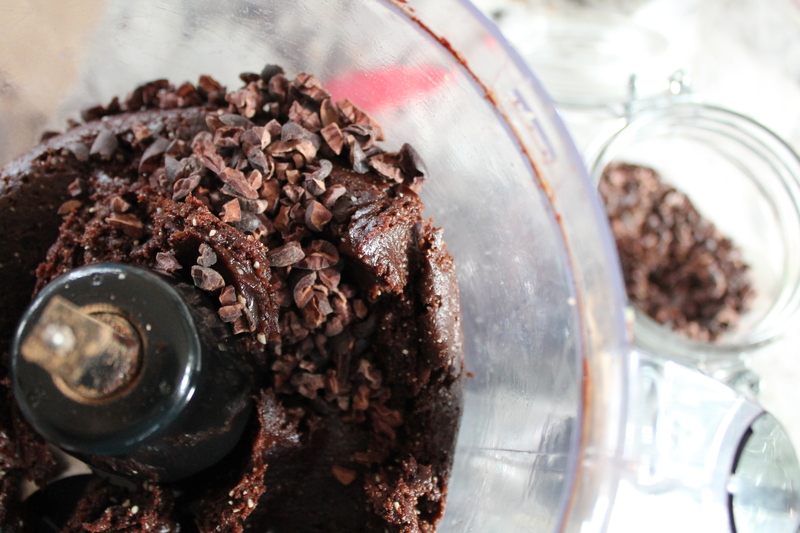 Add a few tablespoons of raw cacao nibs, for some extra chocolateyness and a hint of crunch. Process again. Avoid overheating the food processor, or else the nuts will release a lot of oil. If the date mixture looks a bit sandy, add a teaspoon (or more) water and process again. The goal is to make a moist, fudgy mixture that will be sweet and tender! 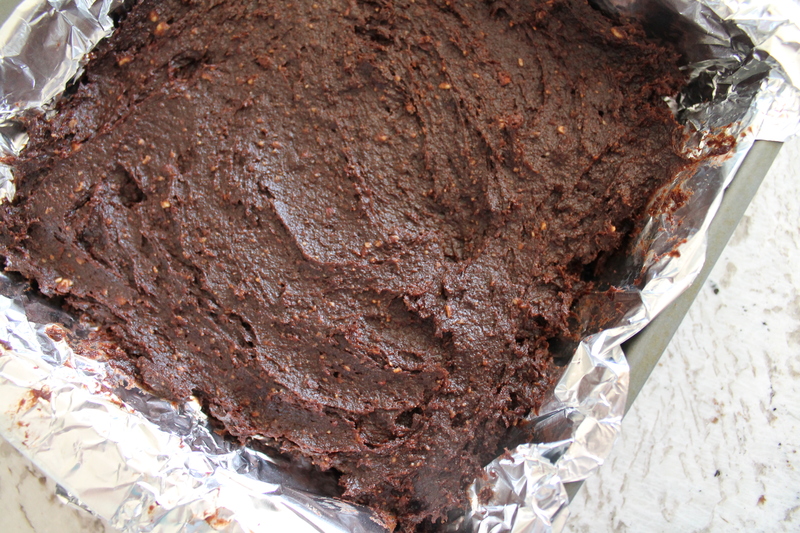 Gently press the raw brownie “batter” into an 8″ square baking dish lined with foil. If the brownies seem oily on top when you press them, feel free to use a paper towel to soak up some of the oil. If you soaked your dates, this will be more of a spreading/wrestling action. Get ‘r done. Freeze for 1 hour, then slice into 25 squares with a very sharp knife. Store them in the freezer in an air-tight container. I like to eat these both frozen and at room temperature. I have learned that a glass of red wine really makes the cacao in these brownies sing, while a cup of coffee brings out their fruitiness. 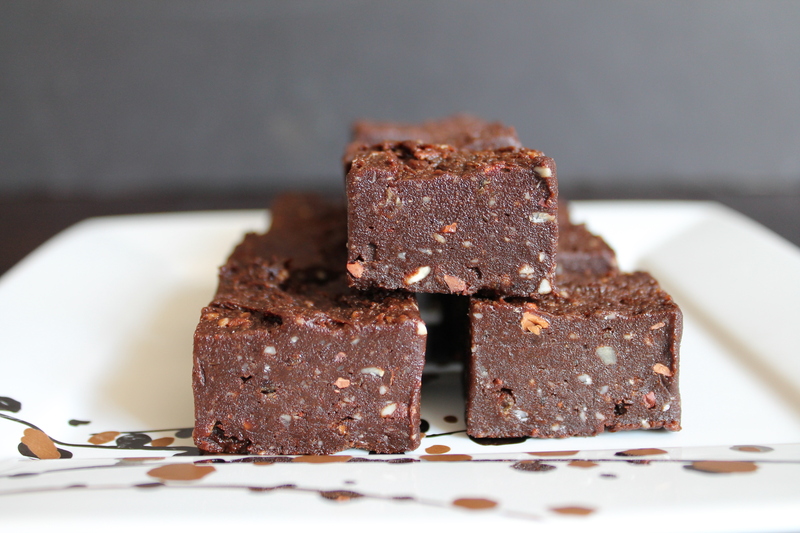 Any way you eat them, these raw brownies are dense and fudgy and fabulous! 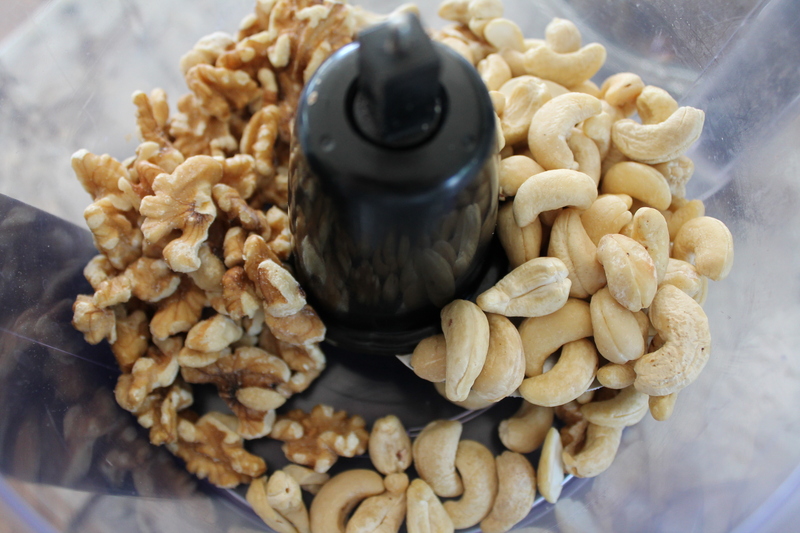 Pulse the nuts in a large food processor to break them down into smaller chunks. Add the dates* and process until the mixture is even and mealy, about 1 minute. If necessary, stop the food processor and scrape the edges so that all the fruit and nuts get evenly processed. Add the cacao powder, vanilla, sea salt, and espresso powder (if using), and puree until the mixture is dark brown and comes together in clumps. If the texture is still mealy, add 1 tsp. water and process again. Transfer the chocolate mixture to an 8ʺ square foil-lined pan. Press very gently into a flat layer. Chill at least 1 hour before slicing. The resulting bars will be sticky. Best stored in an air-tight container in the freezer. 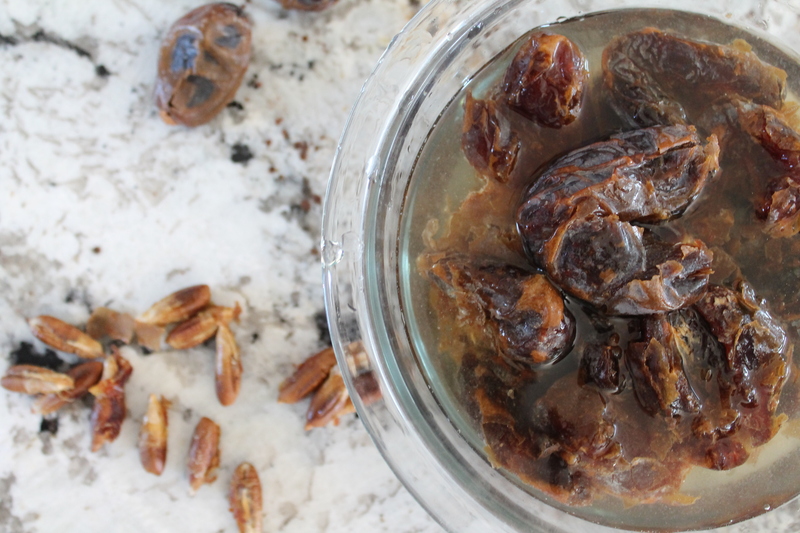 *Note: If your dates are particularly stiff or dried, you may soak them in lukewarm water for 10–15 minutes. Drain the water before adding to the food processor. Be warned that if you go this route, your date mixture will turn into amazingly soft and rich brownies, but it will be a sticky tar after you process it, and it will be very challenging to work with! I’m going to make these for my boyfriends birthday! or Valentines day! Thanks for the recipe! Yum, I hope they’re a hit! Awesome! I love using dates as sugar! Oh these look delicious. The wonders of dates. Thanks for sharing, Chloe.